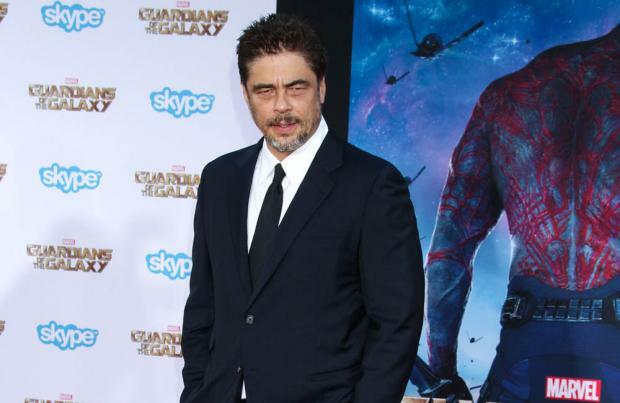 Benicio Del Toro enjoys keeping "people in the dark" about 'Star Wars'. The 48-year-old actor reportedly plays a villain in the upcoming 'Star Wars: The Force Awakens' but he's refused to confirm the rumours and instead admitted he enjoys the "mystery" surrounding the film. Speaking to Entertainment Tonight, he teased: "I don't know if he's a villain. People are saying that, but it's like they read a different script than I read. "It's nice to keep people in the dark, a little bit of mystery is good. If they want to believe it's the villain, then good." The 'Sicario' star recently confessed he's a life-long fan of the popular franchise. He said previously: "I saw the original one when it came out and it marked me. I was impressed by the film and by the characters and by the story and the message." Meanwhile, Drew Struzan - who has been working on the poster artwork for the upcoming movie - has claimed the film is going to be the "best" 'Star Wars' yet. He said recently: "I've never worked with [director] J.J. Abrams before and so we started working on it and he showed me like half the movie and it was just a wonderful film and I know it's going to be grand. "I got to read the script and subsequently I've seen half of it and I can tell you and the fans this, honest to god, it is far and away probably going to be the best 'Star Wars' you've ever seen."